The idea of the Good Shepherd is one of my personal favorites of Scripture. Here is a volume that really fleshes out that concept. The subtitle “A Thousand Year Journey From Psalm 23 To The New Testament” really captures what Kenneth Bailey has to say in this book published by IVP. Mr. Bailey spent 40 years living and working in the Middle East including Egypt and Lebanon. Though he taught the Bible, he had plenty of opportunity to see culture not that far removed from Bible times. Merging those two–teaching and observation–has made this book a success. His approach on the technical side is one where you will have to decide for yourself. His ideas of sequence and “step parallelism” are explained and traced in every passage he deals with. His ten themes well represent the items that we will find in shepherd passages, though all ten are rarely present in any one passage. In any event, I don’t find that the strength of the book. The real value in this volume is the light it sheds on each passage it tackles. For example, as much as has been written on Psalm 23, he still had something to say. Check out the illustration he shares on page 42! How this shows God’s love and care for us is well drawn out. 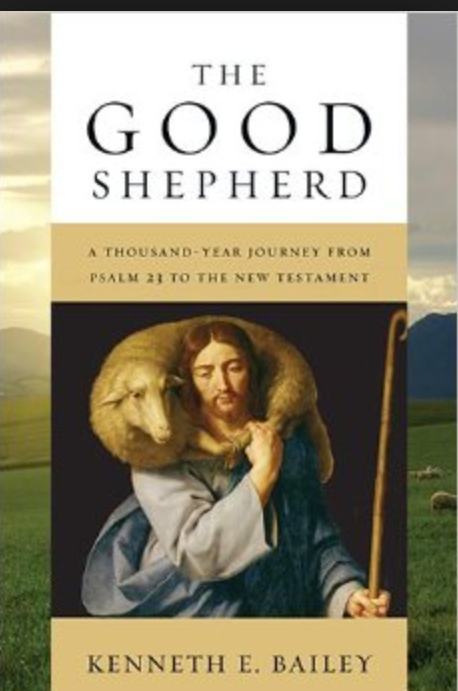 Others passages include all the chief ones on the Shepherd theme. Jeremiah 23:1-8, Ezekiel 34, Zechariah 10:2-12, Luke 15:1-10, Mark 6:7-52, Matthew 18:10-14, John 10:1-18, and I Peter 5:1-4. They were all helpful, but the New Testament passages were especially rich. The last two were my favorites. Perhaps you have heard the news that Bob Jones University has received the findings from an independent firm involving problems the university had regarding dealing with sexual abuse allegations. The findings showed systemic problems dealing with these issues over many years. Since I have discussed many problems in this series, I want to take this opportunity to applaud BJU for allowing this independent probe to take place and mention a few lessons we might learn. I realize they fired the firm at one point of the investigation, but I will still give credit for regaining composure and rehiring the firm they fired. They had to know some measure of unpleasant findings would come out, so no matter how it all went down, at the end of the day the probe was done. The study uncovered some embarrassing situations, but the positive I see is that steps of correction are much more likely to happen. Accountability has come and that is a good thing. This situation teaches us that dealing with issues is the best, and only way, to regain respect. Too many churches and Bible colleges have felt that coverup is the better way. In the long run, that approach is doomed to failure as the Lord Himself instituted the law that sin cannot be effectively hidden. I am not suggesting that every sin has to be confessed to every person, but a direct dealing with the situation that handles all parties involved honestly and fairly is essential. What this study of BJU is going to require is that who can counsel and the credentials they should have had better have a more sensible criteria. Apparently, one man with dubious credentials handled the bulk of their counseling of students with these serious problems. The probe also uncovered an attitude that victims must suffer silently so as not to hurt the “man of God”. That is wrong on every level. Besides being a most unbiblical way to address an issue (At what point is he no longer a man of God? ), it makes those who hold to it a party to the sin. Sadly, a public university would do a better job on that score, which is a shame for anything with the name Christian on it. Again, BJU has subjected itself to accountability in this critical area and I congratulate them for it. Those of us who point out these things have never wanted to destroy anyone, just see these egregious errors corrected. Another thing we must learn is that some things are crimes and not involving the law is criminal itself. That is a liberty that some have imagined they possess when they actually do not. In other words, there are situations where our first step must be to call the police. Until we reach that point, we are going to face a deserved lack of trust. My prayer is that BJU’s situation will usher in a new day of accountability and real Christian leadership. May God help us. Are you fascinated by the concept of mystery as you encounter it in Scripture? It is important, vitally important, to understanding the big picture of Scripture itself. As I see it, mystery as a concept is the nuts and bolts of how progressive revelation works. G. K. Beale and Benjamin Gladd delve deeply into this subject in this book published by IVP, subtitled aptly “A Biblical Theology Of Mystery”. Technical enough to be the scholarly touchstone on the subject, it still is profitable for pastors to grasp how the words of God progressively came to us. This answers difficult questions like why was Jesus so misunderstood when He talked about His Kingdom or His mission. It even affects how we, for example, read the Old Testament today–how we see things they did not see then. They define “mystery” as “the revelation of God’s partially hidden wisdom, particularly as it concerns events occurring in the ‘latter days'”. In the Introduction the authors establish the meaning of mystery and in the first chapter discuss how Daniel’s use of mystery is truly the foundation of the concept. 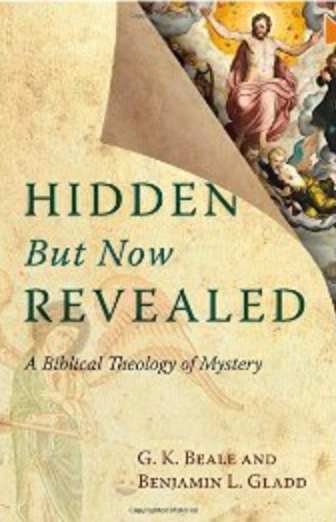 Before coming to the New Testament they discuss the use of “mystery” in early Judiasm. That was not as helpful to me, yet I see why they included it. Next we have a chapter each for mystery in Matthew, Romans, 1 Corinthians, Ephesians, Colossians, 2 Thessalonians, 1 Timothy, and Revelation–all the places the New Testament discusses mystery. Because of a good scriptural index, you have a lexical/commentary reference on your shelf after you read it. It is slow to read through, at least for me, yet I doubt it will even be superseded as an authority on the use of “mystery” in the Bible. I recommend it. 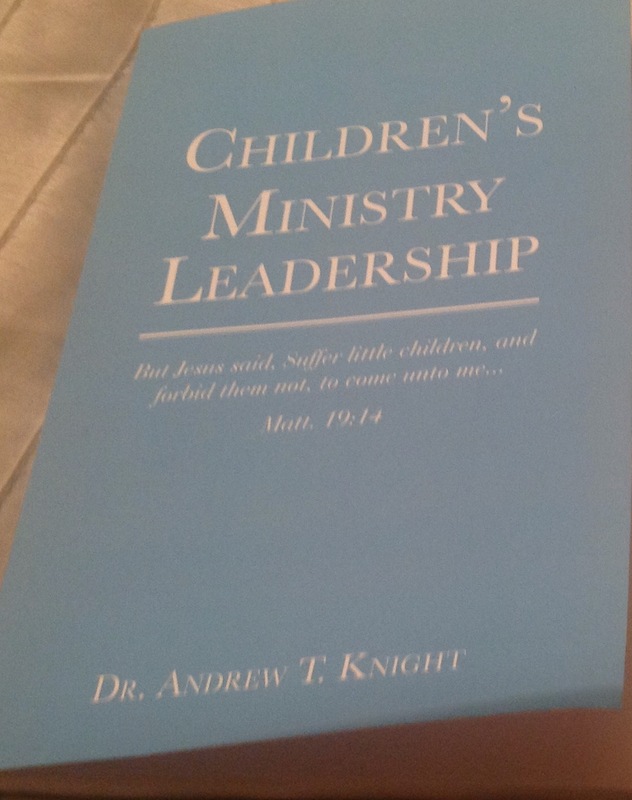 Dr. Knight did research on Children’s Ministry, particularly within the Independent Baptist world. This volume gives the results of that research. He begins with a fine chapter on the importance of reaching children as well as the struggles we face in getting it accomplished. Too often we minister with little discernible results. He then describes the project he did within a large Independent Baptist church to assess what improvements we might glean. It seems the project faced several obstacles. He also interviewed several pastors with large churches to gain their insights. He concludes with materials for teaching children for more lasting results. At times it almost seemed like a catechism. If you are giving thought to children’s ministry today, you might want to check out this volume. Sometimes the most trumpeted spiritual gifts are the ones that are not spiritual at all. 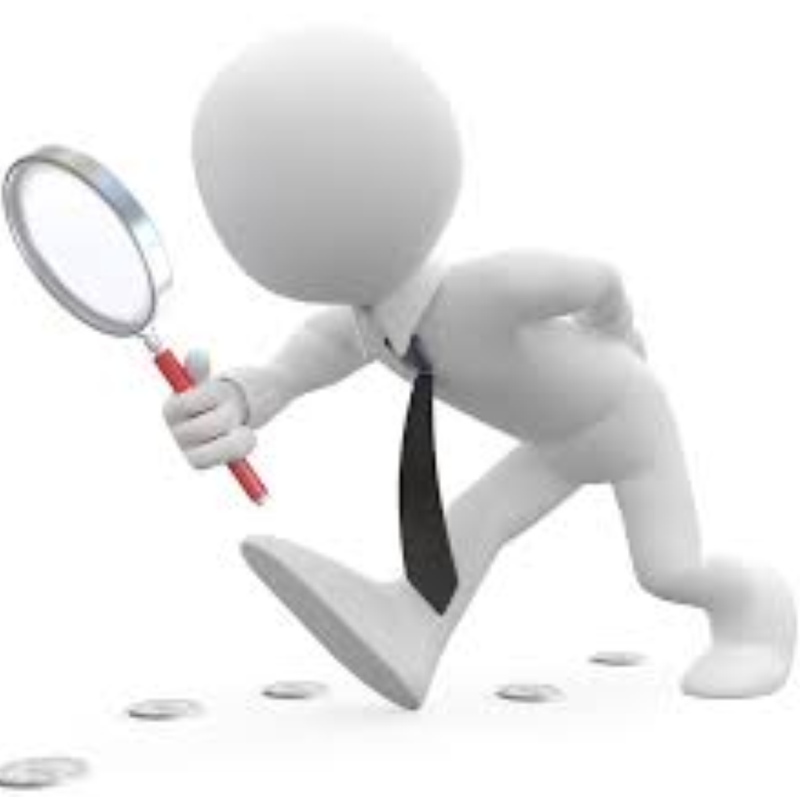 One example is the snooping around done that leads to griping. We sit there griping about someone as if the words out of our mouths were new nuggets in our accumulating treasure in Heaven. We read articles to see who has messed up. We ask around for the juiciest gossip of who has fallen just so we can wax eloquent on how upset we are about it. Strangely, it is not common to be really upset about what you go seeking to find. Usually, that is a source of joy. Could that be the case here? You can answer for you, but I must ask: O Lord, help me. Sometimes we are looking for lesser things than someone falling. We scan Facebook newsfeeds with squinting eyes asking our spouse: does she have on pants? We have an in-depth conversation at church about whether so-and-so went to the movies. And on and on. There are people, I believe, who never have a week go by without engaging in this aberrant behavior. It is done with the pretense of spirituality, but how does The Lord view it? On several occasions such people showed up to check on Jesus. Can you believe He eats with sinners? He ignores the Sabbath–He doesn’t love God. They would come finding what they were looking for and just gripe incessantly. What does Jesus think of that attitude? Read on–his words only got stronger! It might be time to put this supposed spiritual gift on the shelf where it belongs much as you would poison when making a nutritious dish. We need no such spiritual griping.